I was late to the game in playing the original X-COM from 1994, but rapidly became a huge fan, and my adoration for the series only grew with Firaxis’ 2012 remake X-COM: Enemy Unknown. While many X-COM purists took some issue with the removal of time units and the single base restriction, I felt the game was a faithful but modern take on the series. That said, it was beset by bugs and an underwhelming late game, and as I got my hands on a copy of the DLC X-COM: Enemy Within, I hoped these issues would be remedied. 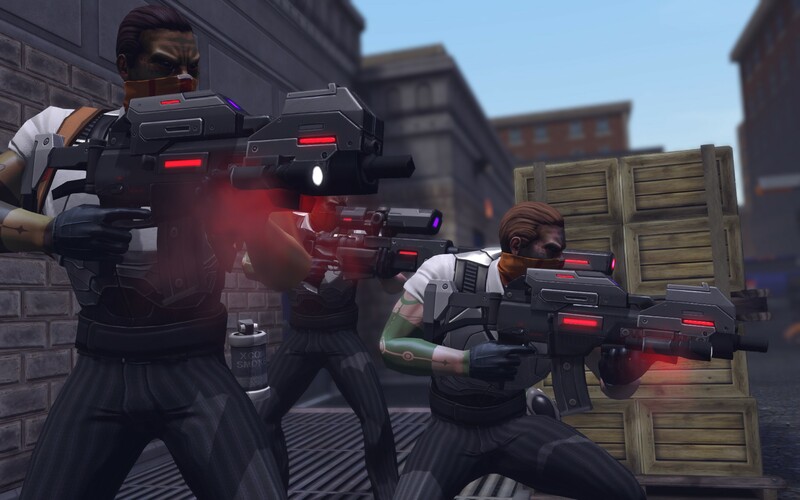 X-COM: Enemy Within does not dramatically alter the campaign mode, but adds a number of additional missions to the story line alongside significant new methods of customization. Alongside fighting new alien types, the X-COM project now has to fight “EXALT”, a mysterious human organization bent on halting the X-COM project and pursuing its own nefarious aims. This means periodically being sabotaged by EXALT and having to launch counter-missions against their efforts, until ultimately discerning their location and eliminating them as a threat. Exalt soldiers have identical classes to X-COM soldiers, and use nearly identical weaponry. This series of side quests provides more to do alongside the alien fighting missions, and the fact that EXALT utilizes the same classes and equipment as your own soldiers makes for a different tactical game, but it seems largely a distraction to the main plot. By late game, if the player is already getting a bit tired of the tedious battles, EXALT can become something of a nuisance. A number of other late game missions add for some further variety to the campaign, and hearken back to some of the features of the original X-COM, but don’t do a lot to radically alter the game (unless of course, you lose). Where the DLC really shines is the introduction of “meld”, and the new customization and class mechanics that come with it. Meld is new special alien substance which the player can use for two purposes: genetic modification or the construction of MEC soldiers. Like psionics, soldiers must first be conditioned to these changes, which in the case of MEC soldiers is irreversible and creates an entirely different class. Genetic modifications use melt to simply enhance abilities with some alien-like traits, but MEC soldiers place soldiers in a giant Mechwarrior-esq suit, granting special combat abilities. In the early game, MEC soldiers are nigh unstoppable, and can be a welcome relief from the usually squishy rookies and early soldiers. Meld can be difficult to come by at times but really add depth to the tactical game play, as suddenly your genetically modified soldiers can regenerate health or detect enemies from afar, while your MECs decimate the opposition. Alongside each of these additions are further upgrades at the foundry and research, enhancing and altering many of the otherwise unchanged weapons (such as grenades) so as to give greater purpose to interrogations and autopsies. 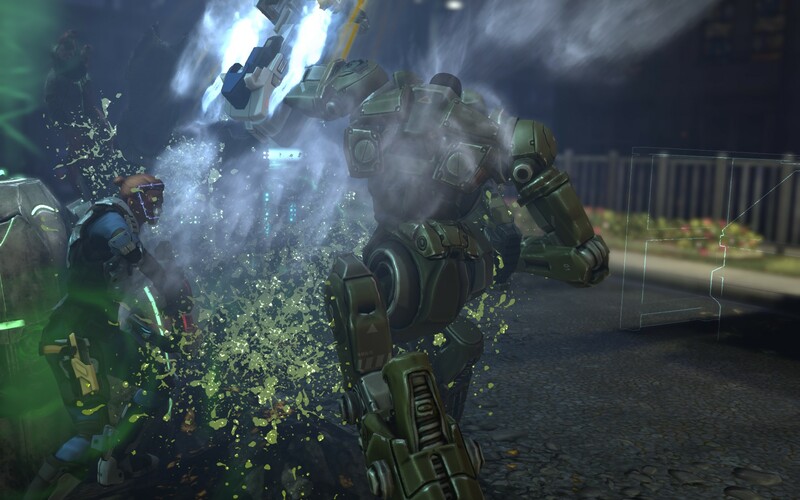 Here my MEC is punching an enemy Muton Berzerker. There is little more satisfying. The DLC does disappoint a bit in terms of not doing enough to make the late game more difficult or more interesting, one of my major complaints with the base game. The early to middle stages of the campaign are riveting, interesting, and rife with difficult decisions that can make or break the X-COM project, but by late game I still found myself largely tired of random missions and pressing toward the next major story mission. The game also still suffered from a number of bugs; some of them a product of the poor UI port from consoles, and others simply retained and not addressed with patches or DLC. By no means is the game as unstable as upon release, but alongside major DLC, I was hoping they would be more thoroughly addressed. Overall, Enemy Within adds a fair bit of depth to the early and middle portions of the campaign and makes missions considerably more tactical with the addition of meld and its associated classes/upgrades. Where the DLC falls a bit flat is in the EXALT missions and other add-ons, though they do add some variety from the tedium of the random late-game missions. At its current price, thirty dollars seems a tiny bit steep, but if you’re looking to get back into X-COM, it truly makes the base game incomplete by comparison. This review is based on digitally downloaded version of the DLC for the PC on Steam provided by 2K Games.